The exotic appeal of striped ebony paired with the trusted tone of solid Sitka. The 21 Series applies the most popular guitar soundboard wood, solid spruce, with an exotic striped ebony back and sides. The aesthetic is subtle and refined with a satin polyurethane finish, a timeless hand-inlaid wooden rope rosette and matching purfling. 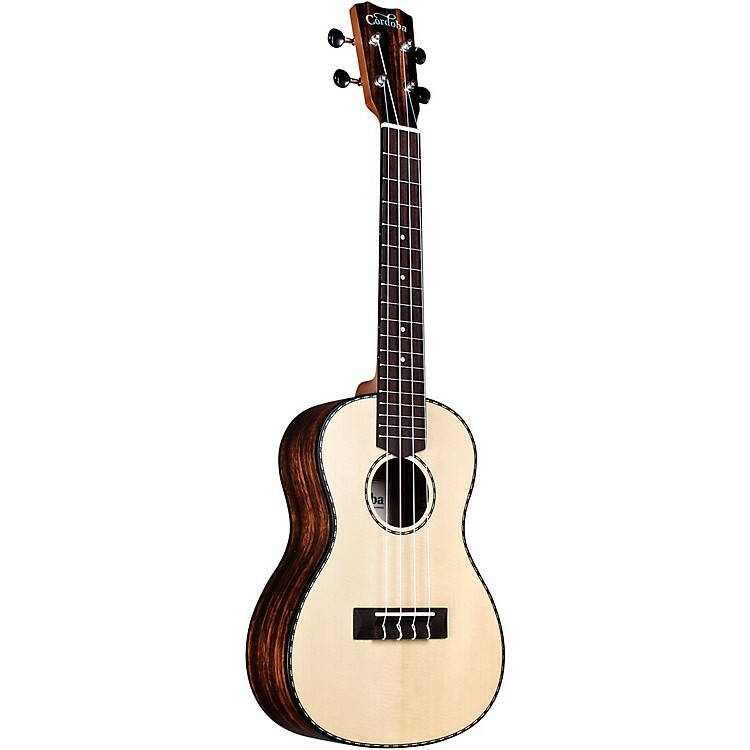 The 21T is a tenor-sized version and also comes with a mahogany neck with ebony fingerboard, and comes equipped with Aquila New Nyglut strings. Order this little charmer today.